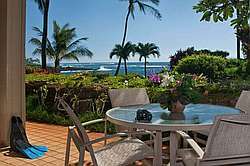 Whalers Cove is a small luxury oceanfront condominium complex in Poipu located in a quiet residential neighborhood. 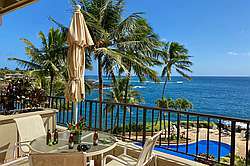 The resort features a heated oceanfront pool and Jacuzzi. 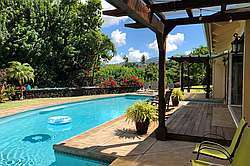 Heated swimming pools are actually rare in Hawaii, but a welcome luxury especially in the winter months. Baby beach is a short walk away as seen in the aerial photo and maps. 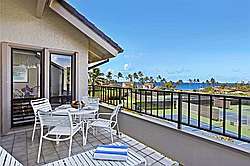 Rooms range from 1000-2200 sq ft and include large lanais – good for seasonal whale watching from Novemeber to April. 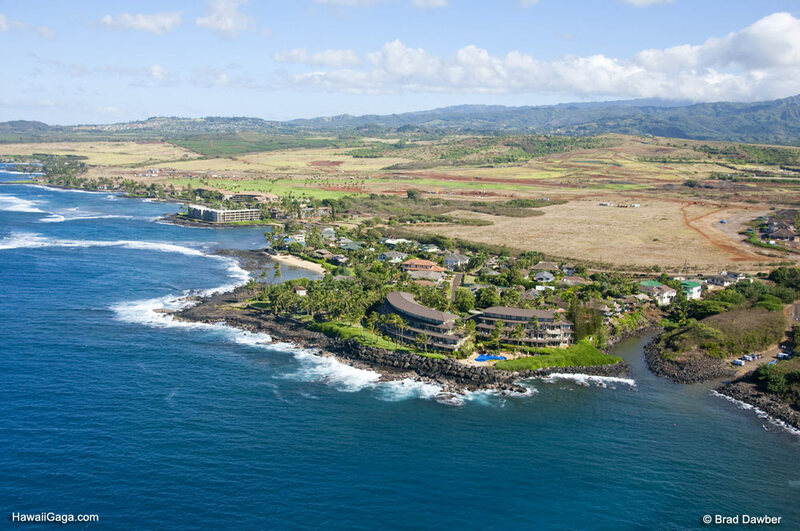 Whalers cove is perfect for discriminating travelers who appreciate comfortable and spacious accommodations in an intimate and quiet oceanfront location. 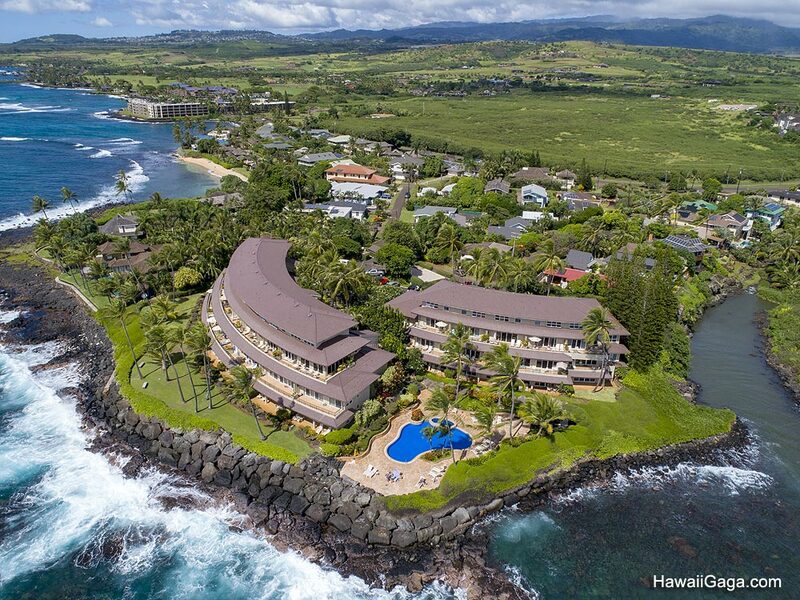 In our aerial photo below note the open patch of land behind the resort. 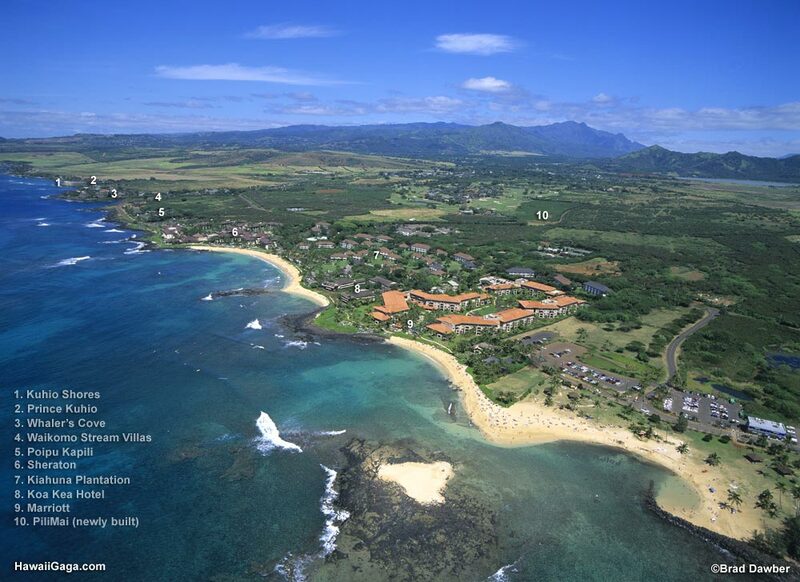 That's the location of the new Kukui'ula Shopping Village which includes several excellent restaurants, a weekly farmers market and other interesting tourist shops. 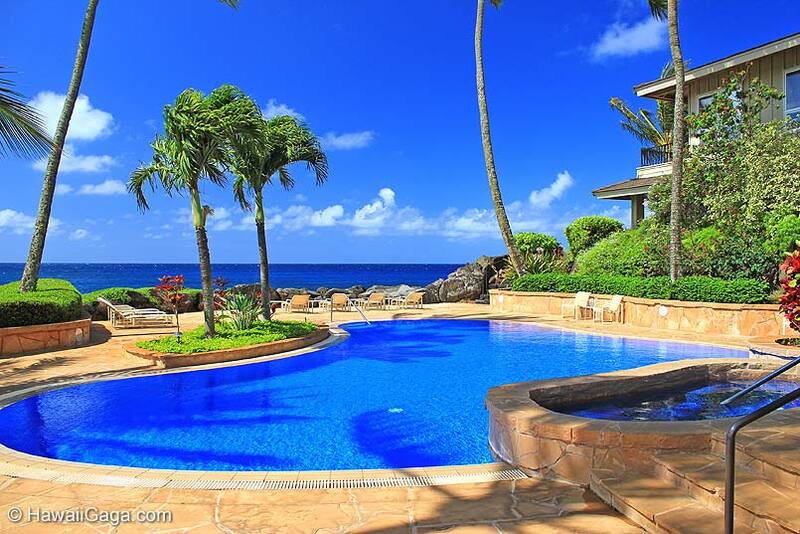 2000 sq ft of ocean front luxury. Private bathroom for each room. Large living area, full size dining room, double wide balcony. Full Kitchen and laundry room. Large Master tub and separate shower. ON SITE check in and DAILY housekeeping. Wake up to the sound of the waves! Master bedroom has a full private bathroom. ON SITE check in and DAILY housekeeping. Full kitchen, washer/dryer, hi-speed. Large 1400 sq ft Luxury. Master bedroom has a full private bathroom, and additional bathroom for 2nd bedroom. ON SITE check in and DAILY housekeeping. 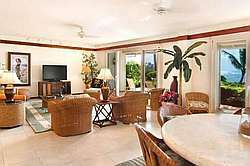 Full kitchen, washer/dryer, hi-speed, large balcony with access to the pool. Spacious island luxury. Full kitchen, washer/dryer, and ON SITE check in and DAILY housekeeping. Private large balcony. Large 1400 sq ft Luxury. ON SITE check in and DAILY housekeeping. Private bathrooms for each bedroom. Full kitchen, washer/dryer, hi-speed, large comfortable balcony. Grand luxury, large living area, full size dining room, double wide balcony. Full Kitchen and laundry room. Large Master tub and separate shower. ON SITE check in and DAILY housekeeping. 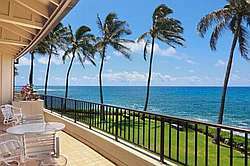 Exquisite top floor 2bd/2.5bth ocean front with stunning ocean views-heated pool, hot tub.